Born and raised in Lebanon, Sarah Beydoun, Creative Director and founder of Sarah’s Bag, belongs to a generation of Beirut based designers who came of age during the country’s fifteen-year civil war and are now contributing to rebuilding the city’s cultural life through their creative passion. Sarah was one of the first designers in Lebanon to bring Arabic pop culture into the mainstream and to update the work of the region’s traditional artisans and textile makers in the process. After studying sociology at the American University of Beirut, Sarah earned her masters from the Université Saint Joseph where she wrote her thesis on female prostitution and women in prison. She came up then with a simple idea that combines her interest in bettering the lives of those underprivileged women with her love for Creation. 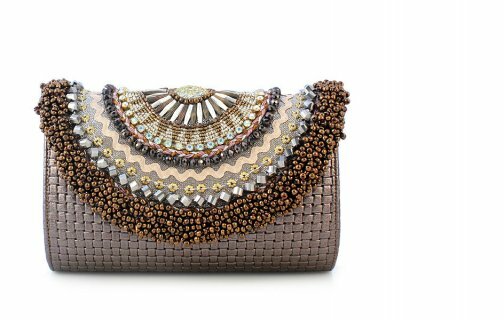 With the talent of those craftswomen, and for 11 years, Sarah’s Bag has been beading, stitching and sequinning its way to the heart of the Arab Women with breakthrough designs such as Arabic Calligraphy, featuring famous quotes from the Lebanese and Arab culture, to be worn by celebrities such as Queen Rania of Jordan, actress Catherine Deneuve and many women of the world who believe in the woman of today. According to Sarah, every bag carries a little bit of hope with a touch of passion and a big promise of freedom.